Chief Mumena of the Kaonde speaking people of Kalumbila district in North Western province says cervical cancer prevention is not a female agenda. Chief Mumena said this today at Lumwana district hospital during the official opening of the Cervical Cancer clinic in commemoration of World Cancer Day held under the theme I am and I will. He pointed out that cancer had become the new dreaded condition that was ravaging communities, nations and hoped for concerted efforts from all concerned to fight. 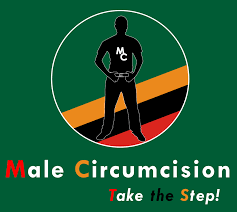 He challenged men to take steps and take voluntary medical male circumcision as one of the key ways to prevent cervical cancer. The traditional leader also called for the revival and revamping of Safe Motherhood action groups to help disseminate messages on cancer prevention. And speaking at the same function, provincial Permanent Secretary Willies Mangimela disclosed that the Ministry of Health was coming up with cancer screening centres in all districts of the province. Mangimela expressed gratitude to Ministry of Health and the World Health Organisation (WHO) for coming up with the initiative and encouraged the communities to make use of the facilities. Meanwhile, Kalumbila District Administrative Officer Frank Siatwinda said three nurses had so far been trained to handle the cervical cancer clinic. Siatwinda however appealed for training of more staff so that they reach outlying areas in the district.